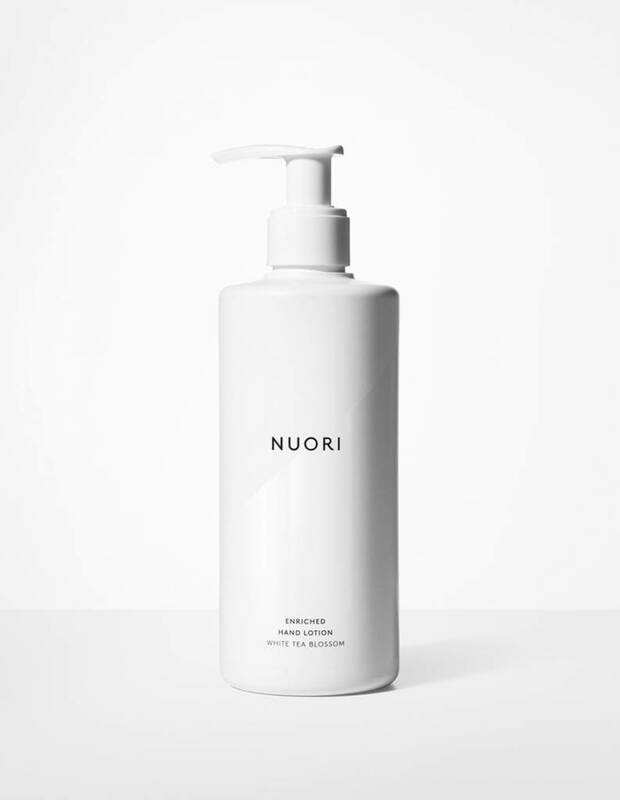 NUORI's ENRICHED HAND LOTION is a fresh, lightweight lotion that restores the skin’s moisture balance after cleansing. This natural formula nourishes skin with shea butter, olive squalane, grape seed oil, and sweet almond oil. Enriched with vitamin E and white tea extract for antioxidant protection.